At NLEResources.com, we aim to provide rabbis and educators with helpful tips and resources that will help you reach your audience and enhance your teaching, programming and marketing. In this post, we are going to explore a fantastic resource that will help any rabbi and educator teach lessons using a SMART Board. The SMART Board is an interactive whiteboard that uses touch detection for user input (for example scrolling and right mouse-click) in the same way as normal PC input devices, and is increasingly used in Jewish schools throughout North America (see for example this video from the Yeshiva Ketana of Waterbury that shows SMART Board technology being used throughout their classrooms). 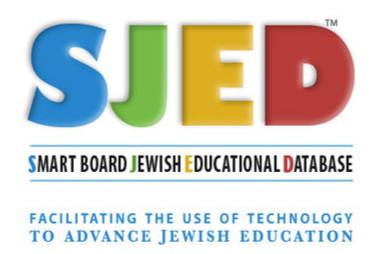 A relatively new site that has been developed to help rabbis and educators called: The Smart Board Jewish Educational Database. This free portal, contains a database of SMART Board lessons submitted by educators throughout the world. Plus, this resource allows any rabbi and educator to browse and easily download lessons that will enhance any classroom and lecture. Best of all, you don’t have to be an “internet maven” to use the site. The user experience of the site is highly intuitive and allows you to browse through various lesson subjects and topics. Educators are also encouraged to share with the site their own shiurim and lessons that they have developed for SMART Board use. The site also features a handy selection of useful links and Library of SMART Board resources that will help both the novice and expert SMART Board user. As a rabbi and educator, we are certain that you and your colleagues will want to bookmark this site and turn to it for ideas and inspiration, when it comes to planning your classes. If you are considering adding SMART Board technology into your school, we encourage you to apply for the Legacy Heritage Fund SMART Board project. The Legacy Heritage Fund recently announced the launch of a new round of the Legacy Heritage Fund SMART Board project for Jewish day schools. The SMART Board Project will enable Jewish day schools to bring the power of SMART Board technology into their classrooms. Participating schools will receive one or more SMART Boards and staff training to achieve proficiency in the use of the equipment. For further information and to download an application, please click here.